On 18 July 1943, one-hundred and twenty Jews were transported from the concentration camp at Drancy to the Lévitan furniture store building in the middle of Paris. These were the first detainees of three satellite camps (Lévitan, Austerlitz, Bassano) in Paris. Between July 1943 and August 1944, nearly eight hundred prisoners spent a few weeks to a year in one of these buildings, previously been used to store furniture, and were subjected to forced labor. 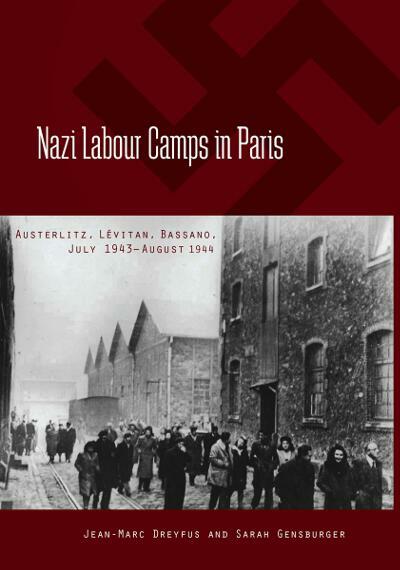 Although the history of the persecution and deportation of France’s Jews is well known, the three Parisian satellite camps have been subjected to the silence of both memory and history. This lack of attention by the most authoritative voices on the subject can perhaps be explained by the absence of a collective memory or by the marginal status of the Parisian detainees - the spouses of Aryans, wives of prisoners of war, half-Jews. Still, the Parisian camps did, and continue to this day, lack simple and straightforward descriptions. This book is a much needed study of these camps and is witness to how, sixty years after the events, expressing this memory remains a complex, sometimes painful process, and speaking about it a struggle. Jean-Marc Dreyfus is an historian and Reader at the University of Manchester, UK. He is a specialist on the economic Aryanization during the Holocaust. His other topics of interest include the consequences of the Holocaust in European politics and diplomacy, the history of Alsace since 1870, and the history of the Jews in France. He is the co-editor of the Dictionnaire de la Shoah (Larousse 2009) and the editor of an Auschwitz memoir by Yvonne Redgis-Klug, Survivre. Souvenirs d’une rescapée d’Auschwitz (1945), (Larousse 2010). Sarah Gensburger studied sociology the Ecole Normale Supérieure and Sciences Po and is a sociologist of memory. Researcher at the CNRS, she is the co-editor of Resisting Genocides (Columbia University Press 2010) and Images d’un pillage. Album de la Spoliation des Juifs à Paris (Textuel 2010). She recently published Les Justes de Frances. Politiques publiques de la mémoire (Sciences Po 2010) and is currently working on the process that led “memory” to become a category of State intervention.